We are one of the prominent Manufacturer, Supplier, and Exporter of Pre Engineered Building, Prefabricated Engineered Building, Pre Engineered Industrial Buildings, Pre Engineered industrial sheds from India. 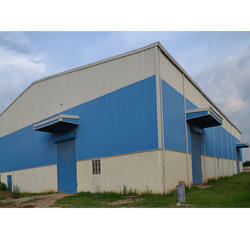 Our offered Pre Engineered Buildings are known for their excellent design and perfection. These Buildings are thermally insulated which is ideal to render energy-efficient performance in industrial and commercial areas. These buildings is manufactured in compliance with international quality standards, using best quality raw material procured from reliable sources of the industry. Fabricated with finest raw material, our Pre Engineered Buildings are known for their safety, versatile design and lower prices. 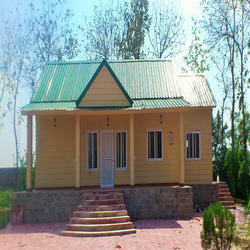 We also deals in the manufacturing process of Modular Prefab house, Prefabricated Homes and PEB Structural Shed. Further, we offer these product to the client at competitive prices. Backed by the long years of market understanding, we are offering an extensive array of Prefabricated Homes. By our adroit professionals,the offered homes are manufactured using optimum quality raw materials and the sophisticated technology. Widely used in corporate offices, industrial sites, construction sites and related places, the provided homes are highly demanded for their unique appearance. In addition to this, these homes are put forward at most economic rates for our clients. We are manufacturers & suppliers of high-qualityPre-engineered Building, IndustrialPre-engineered Building, ModularPre-engineered Building, PEBPre-engineered Building, SteelPre-engineered Building from India. Our versatile organization is successfully providing the best quality gamut of Pre-engineered Buildings that are provided in both standard as well as customized specifications. At our manufacturing unit, these buildings are manufactured with the use of superior quality raw materials and cutting-edge techniques. 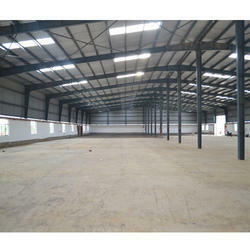 Suitable for temporary accommodation, these buildings find application in various industrial and commercial places. In addition, we provide these buildings atnegotiable rates to our patrons. We are manufacturers & suppliers ofPre-engineered Industrial Buildings, Prefabricated Industrial Buildings, SteelPre-engineered Industrial Buildings, PEBPre-engineered Industrial Buildings from India. Our versatile organization is successfully providing the best quality gamut of Pre-engineered Industrial Buildings that are provided in both standard as well as customized specifications. At our manufacturing unit, these Pre-engineered industrial buildings are manufactured with the use of superior quality raw materials and cutting-edge techniques. 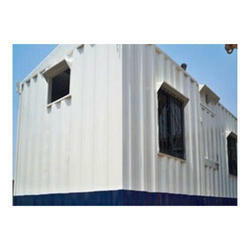 Suitable for temporary accommodation, these buildings find application in various industrial and commercial places. 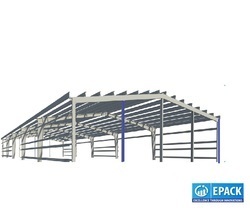 We are offering fines range of Pre-engineered steel buildings (PEB) that are Pre-engineered steel buildings (PEB) are a steel structures built over a structural concept of primary members, secondary members, roof and wall sheeting connected to each other and various other building components. These buildings can be provided with different structural and non-structural additions such as skylights, wall lights, turbo vents, ridge ventilators, louvers, roof monitors, doors & windows, trusses, mezzanine floors, fascias, canopies, crane systems, insulation based on the customer's requirements. As per the specific demands of our clients, we are engrossed in providing a paramount quality array of Modular Prefab House. At our advanced manufacturing set-up, the offered house is manufactured in tune with set market standards by utilizing premium quality raw materials and contemporary techniques. Equipped with modular arrangements, the offered house is much beneficial for temporary residence. Moreover, patrons can avail this house at marginal rates from us. With firm commitment to quality, we have emerged as reliable entity to provide the best quality gamut of Prefabricated Panels. The provided panels are elegantly designed and manufactured using quality assured raw materials and the latest techniques at par with set market standards. These panels find application for installation of various electronics and communication equipment to assure their protection. 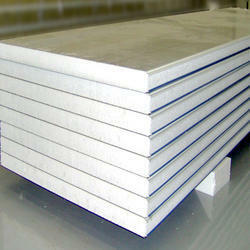 Available with different specifications, these panels can be purchased at highly competitive rates from us. K-value of insulation approx. 0.35 W per sq.m per deg. Material of outer Skin /Inner sheets Profiled Galvanized Sheet Steel / S.S / FRP with tread / depth of profile approx. 5 mm.